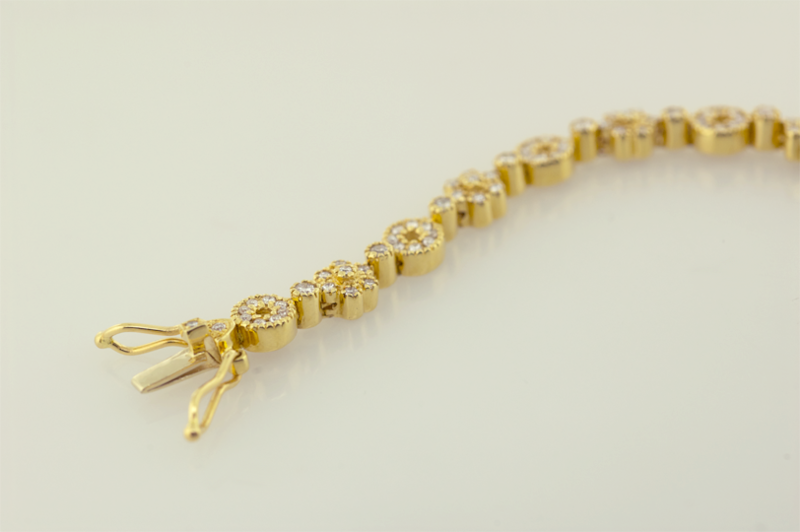 Diamond bracelet in 18KT yellow gold flexible links in a floral motif. 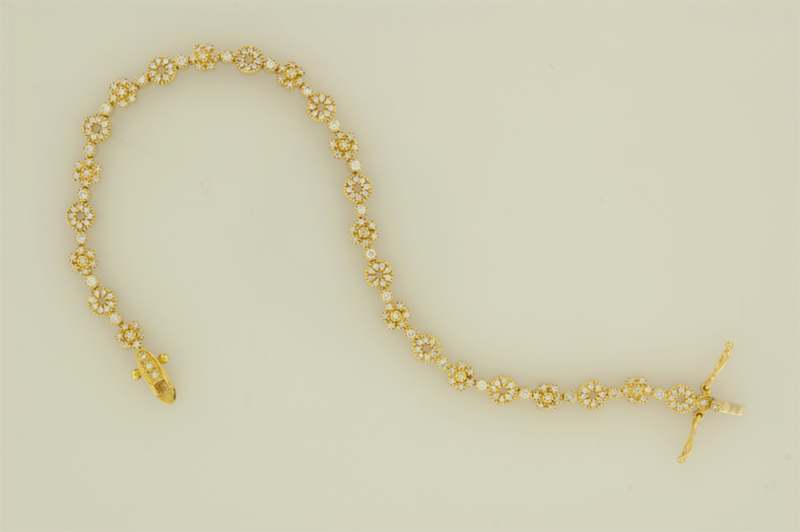 1.16cts. total weight of round brilliant shaped diamonds.